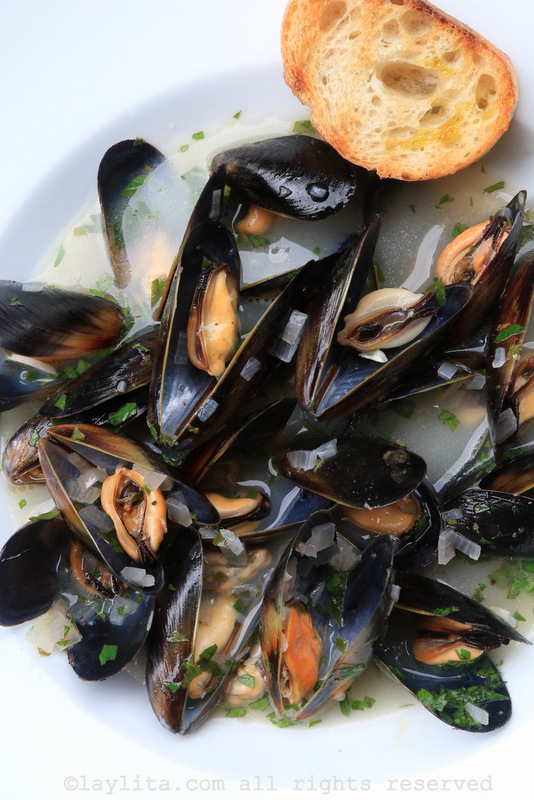 This recipe for preparing mussels in white wine sauce is made by steaming mussels in broth made with butter, shallots, garlic, white wine, parsley, thyme, and bay leaf. This classic mussel dish is also known as moules marinière. One of my favorite memories around mussels was when I was a young kid and my dad took me to a meal with a business partner (who would later become a great friend). We shared a large pot of mussels in white wine, and despite being the little kid at the meal, I felt included because of the social aspect of sharing the same dish with the adults. Simple recipe for preparing mussels in white wine sauce, also known as mussels marinière. 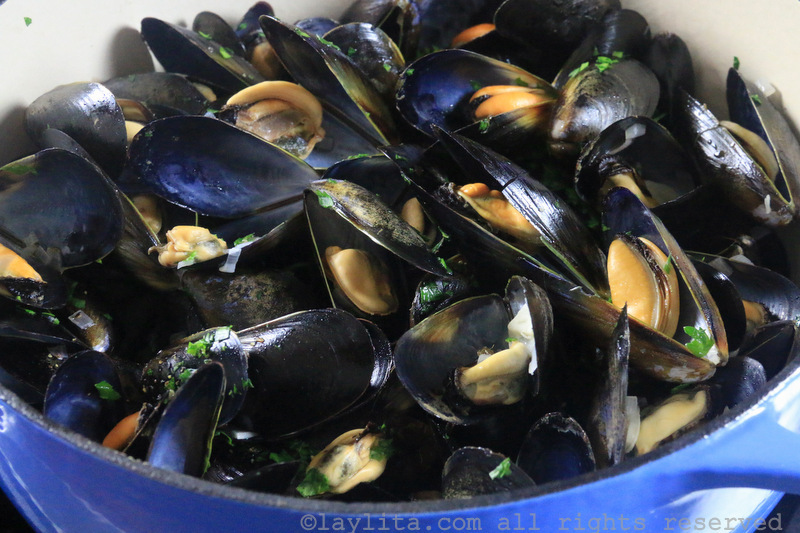 The mussels are steamed in a broth with butter, white wine, garlic, shallots, parsley, thyme. Rinse the mussels thoroughly and remove the beards. In a large saucepan or pot, melt the butter over medium heat and add the shallots and garlic, cook until the shallots are transparent and soft, about 3-5 minutes. Add the mussels and stir well. Next add the herbs and the white wine. Bring the liquid to a boil. Cover the pan and steam mussels over high temperature for about 5 to 7 minutes, or until the mussels start to open – exact time will vary depending on the size of mussels and each stove. Once the mussel shells open up, turn off the heat, add the lemon juice, salt/pepper, and additional chopped parsley. 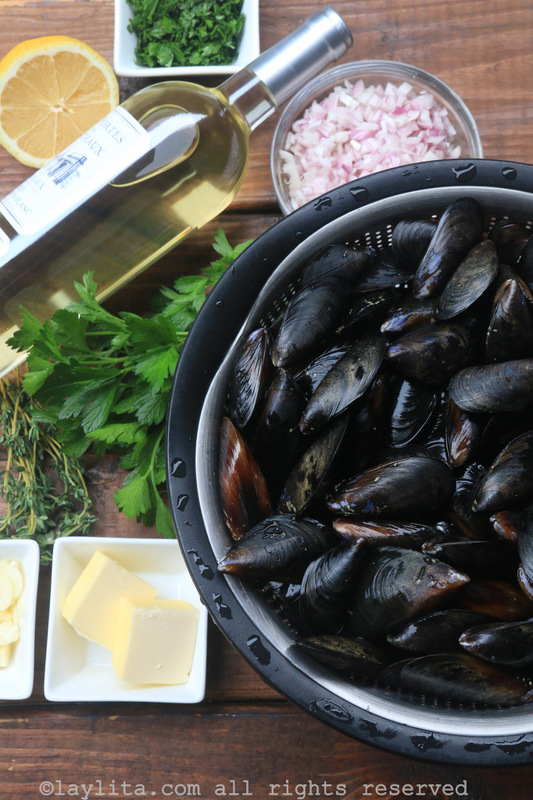 Gently stir the mussels from bottom to top so that the sauce and parsley can uniformly spread into all the mussels. If desired you can remove the herbs sprigs and bay leaves. Remove the mussels that are still closed. Some mussels partially open, which is fine. You will just need to work harder to open & enjoy these ones. Serve the mussels in large soup plates or bowls. 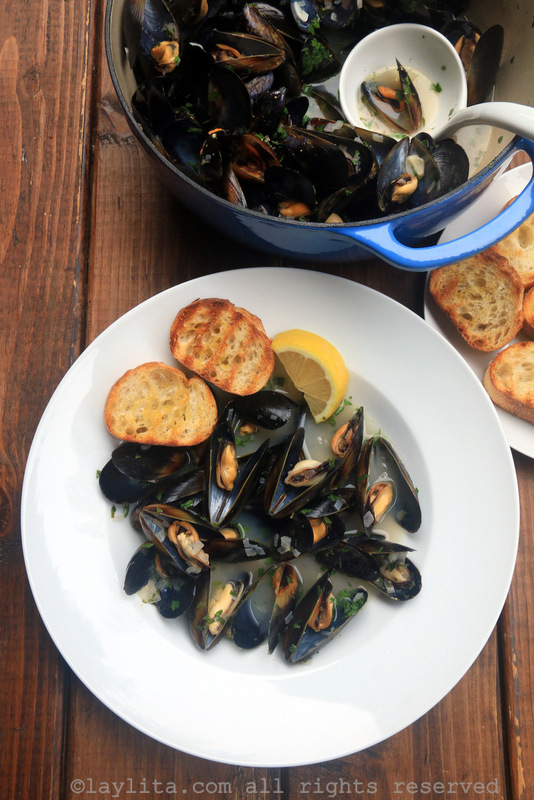 Enjoy the mussels with slices of baguette, plain or toasted/grilled with garlic. 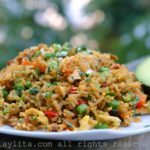 This dish can be accompanied with white wine, based on your preference. Sauvignon Blanc, Chardonnay or Viognier types are good ideas. A salad may also be part of the meal. When you look at seafood you realize that some dishes are more communal than others. It’s easy to go to the store and pick half a dozen oysters, or just one or two. You can shuck a few oysters and enjoy them with someone or simply on your own. Mussels, on the other hand, usually come in a large batch, and since they can’t be eaten raw they are often made in a big pan for a group of people. In France, brasseries sometimes serve mussels for a minimum of two to four persons. 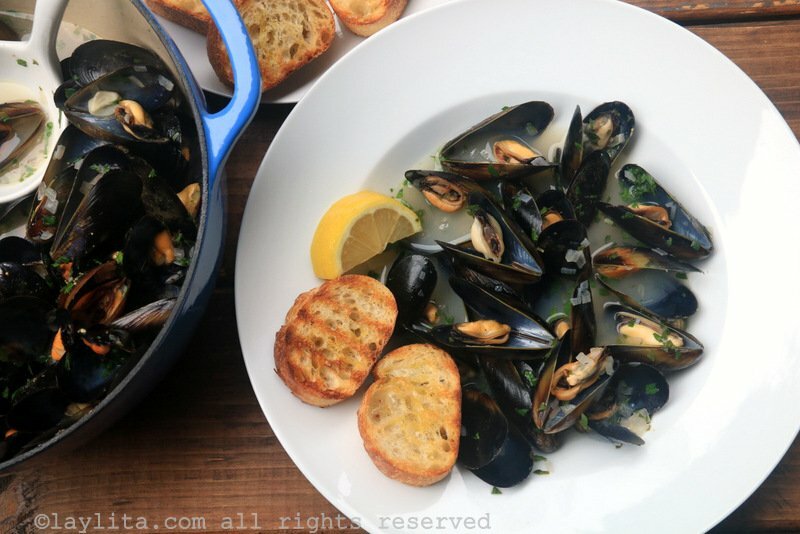 Mussels are very tasty on their own, but one of the best parts is the sauce or broth because it combines the flavor of the mussels with the wine, garlic, and herbs. So they are typically served with a side dish: frites (fries) or bread. The moules-frites combination comes from Belgium, where fries originate (French fries are not French, they are Belgian – in case singer Stromae hasn’t emphasized that enough). We love frites, but for mussels there is nothing like a nice piece of bread, toasted and rubbed with garlic or just plain, to soak up the delicious sauce from the mussels. – Preparing mussels involves buying live seafood and keeping it as such until the time you cook it. Live mussels must be firmly closed to the touch when bought, and shells must be intact. In other cases, the mussel is not good for consumption. Ask your grocery rep or fishmonger to help select mussels for you, it will save you time and money. – At home, store the mussels in a cool location (35-40F degrees), either fridge or outside if the temperature will be stable enough until cooking time. Very important: if the bag is sealed, you must open the bag to let the mussels breathe as soon as you get home. – Make sure to rinse the mussels well under cold water and remove the beards. Some stores will do this for you. A useful tool to remove beards is a pair of pliers. No tool in the kitchen comes as handy to do this. At this point you should have healthy, clean mussels ready for cooking. – For the wine, you will want to find a citrusy variety such as a Sauvignon Blanc. Avoid sweet wines. – After the mussels are cooked, remove any of the shells that didn’t open. 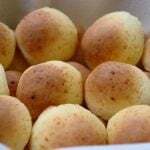 These should be discarded and not eaten.